CAMAS — The occupants of a fatality automobile accident in Camas Wednesday have been identified by the Camas Police Department. The driver was 29-year-old Michael Tatiachy, a Vancouver resident, and the passenger was 18-year-old Manson Juea, also a resident of Vancouver. Juea was pronounced dead at the scene. Tatiachy was transported to a local hospital with non-life threatening injuries. The two occupants are cousins. The Camas Police Department and Clark County Sheriff’s Office Traffic Unit continue to investigate the incident. 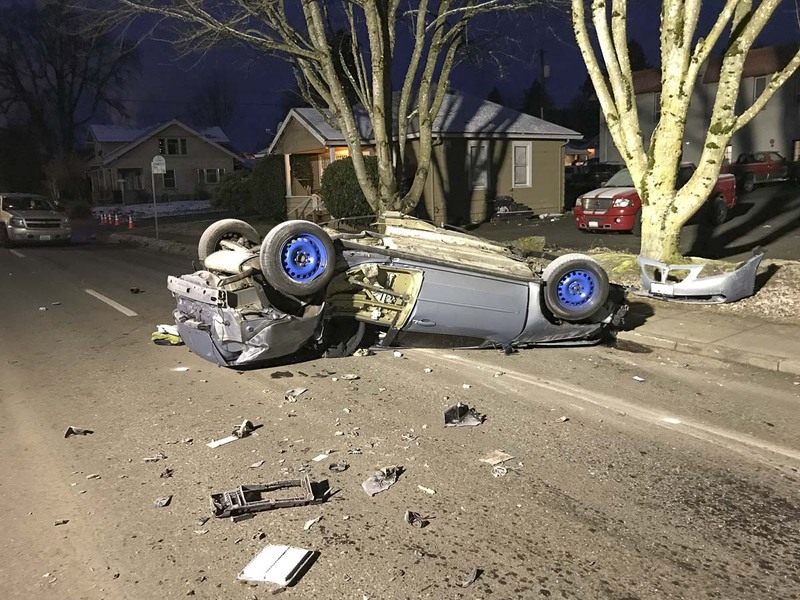 Camas Police and Fire personnel were dispatched to the scene of the accident, the 900 block of NE 3rd Avenue, at just after midnight Wed., Feb. 6. A Pontiac G6 sedan was discovered on its roof with the two passengers inside. Speed was clearly a factor in the collision, however, all other proximate causes are also being investigated.